A judge ordered Thursday that Koua Fong Lee, the St. Paul man convicted of criminal vehicular homicide for a 2006 crash that killed three people, be released from prison and granted a new trial. Less than an hour after the judge's ruling, Ramsey County Attorney Susan Gaertner announced that she won't seek a new trial, ending Lee's four-year legal odyssey. Lee, 32, was convicted of criminal vehicular homicide after the crash, in which he hit three other cars stopped at a red light. The crash killed three people, and Lee had been serving an eight-year prison sentence. A tearful Lee addressed reporters as he left the Ramsey County jail Thursday evening. "I am very happy to see the world again," he said. "I'm very happy to see my wife, my children, very happy about that. So I think the first thing I'm going to do is spend time with my family." After Lee finished his remarks, a reporter delivered the news that prosecutors will not seek a new trial. 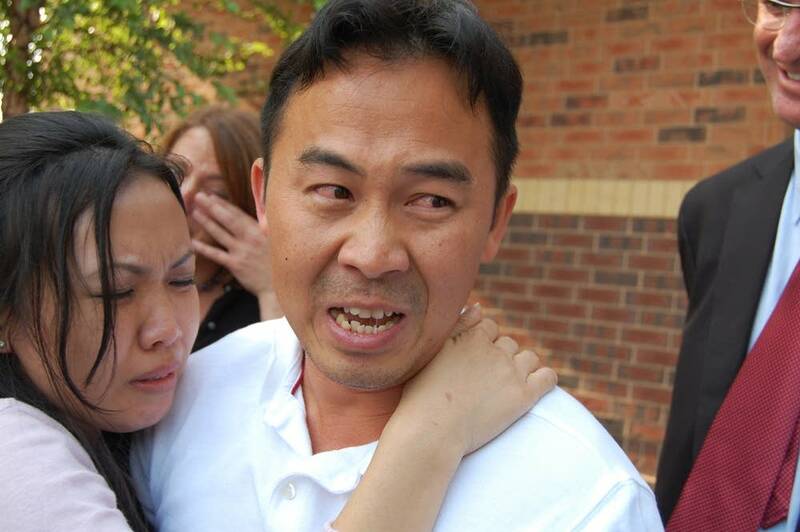 Lee broke down sobbing and hugged his wife and lawyers. Several people in the crowd yelled, "It's over." 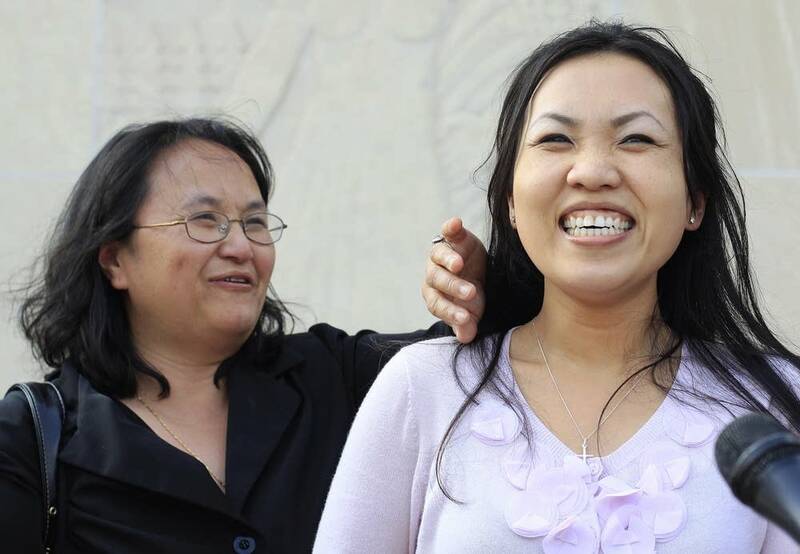 "I'm happy that the judge made the right decision," Panghoua Moua, Lee's wife, told reporters. "I'm so happy, just happy that he'll be home." Lee has always maintained that he tried to brake, but that his 1996 Toyota Camry suddenly accelerated, ramming into the stopped cars. Millions of newer Toyotas have been recalled this year because of sudden acceleration problems. Lee's attorneys have argued that Lee's car had a similar problem, even though Camrys from that year weren't a part of the recent recalls. Smith also cited a letter from an expert that stated Lee had been braking his car at the time of the impact, but said the letter was not introduced by Lee's initial attorney. 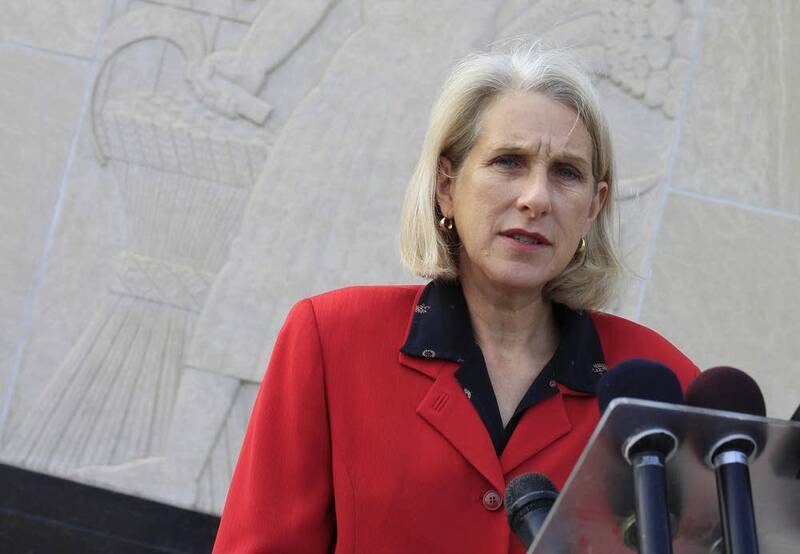 Gaertner, the Ramsey County Attorney, appeared outside the courthouse shortly after the judge's ruling and announced her decision not to seek a new trial. "I believe the system worked, and this is a very good day for the criminal justice system," she said. "Finally, I want to wish Mr. Lee and his family all the best." Earlier in the day, Lee had rejected a deal that with prosecutors that would have allowed him to be immediately released from prison. Lee said in court that the deal, which would have made his conviction stand and banned him from driving for 10 years, wasn't good enough. "During that time, I took my foot off the accelerator and put my foot on the brake. I did not lie about that," Lee said in court explaining why he rejected the deal. Lee's attorney, Brent Schafer, questioned Lee about the proposed deal to make it part of the court record. That came after attorneys for both sides met with Ramsey County Judge Joanne Smith, delaying the hearing. 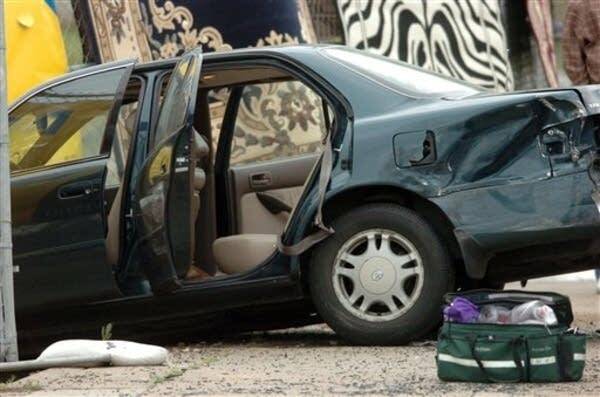 Lee, a recent Hmong immigrant, was driving his family home from church on June 10, 2006, when their Camry exited the Snelling Avenue exit ramp off of Interstate 94. Police said the car was traveling between 70 and 90 mph when it rear-ended an Oldsmobile stopped at a red light. Javis Trice Adams, 33, and his 10-year-old son, Javis Adams Jr., died at the scene. 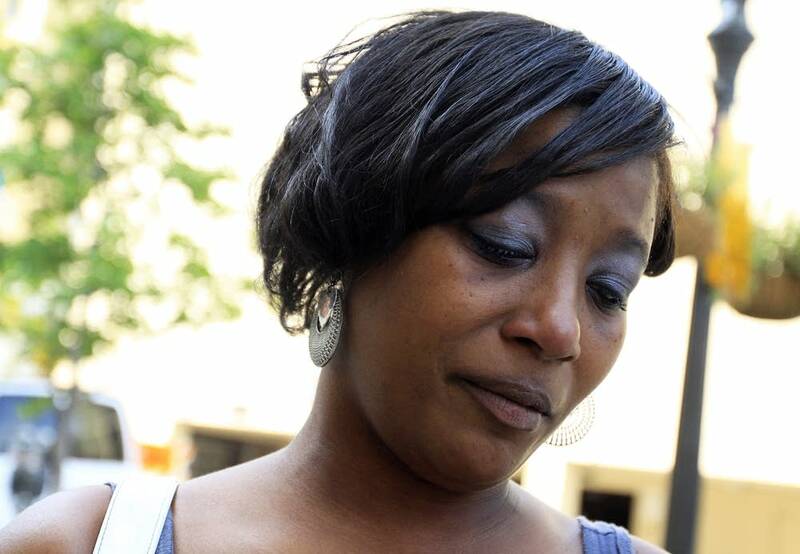 Adams' 6-year-old niece, Devyn Bolton, was paralyzed from the neck down and died shortly after Lee was convicted. Two others were badly hurt. Not even Lee's own attorney went along with his story that he had tried to brake until this year, when millions of Toyotas were recalled because of sudden acceleration problems. Witnesses with Camrys of the same vintage have testified about their experiences with sudden acceleration. And defense attorneys have also argued that Lee's original attorney botched his defense by not challenging authorities, who mistakenly concluded that Lee's car didn't have anti-lock brakes. Authorities at the time also said the fact that there were no skid marks on the pavement indicated that Lee didn't brake. Lee's attorneys now say there were no skid marks because of the anti-lock brakes. Lee's attorney, Bob Hilliard, also argued that Lee's attorney during the 2007 trial told the jury his client may have been mistaken about what pedal he was pushing in the car, despite the fact that Lee hasn't wavered in his claim that he tried to brake. The original attorney, Tracy Eichhorn-Hicks, conceded in court on Wednesday that he and his client were saying two different things at the trial. But he said they didn't disagree about their defense strategy. Eichhorn-Hicks said he didn't think a jury would believe a car could suddenly accelerate on its own, so he told jurors his client might have been mistaken. "We were caught trying to sell to the jury that the car accelerated 20 or 30 miles an hour without any explanation," he said.